Museums house the world’s treasures. Often the architecture is artwork in itself. 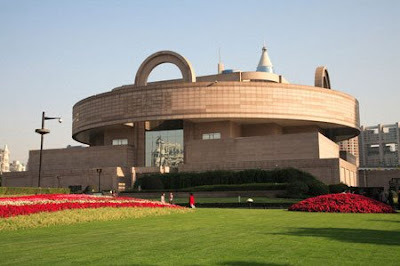 The modern aesthetic of the Shanghai Museum is home to many collections. But its roots are traditional. The building was designed in the shape of an ancient cooking vessel. 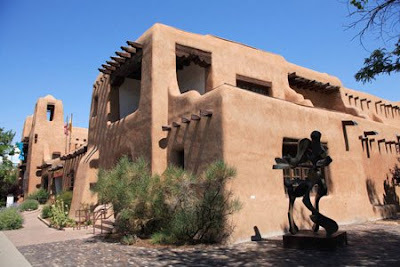 The architecture of the Museum of Fine Arts in Santa Fe, New Mexico maintains the region’s true style. The National Museum of Beirut sits on both sides of the Green Line. During the civil war priceless ancient artifacts were hidden and kept safe. 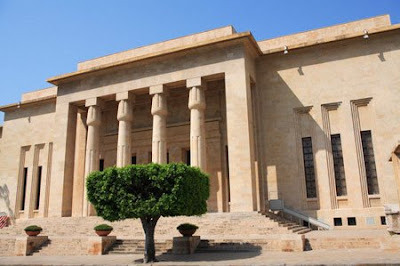 It took years to restore after the war ended and is one of Lebanon’s national treasures. 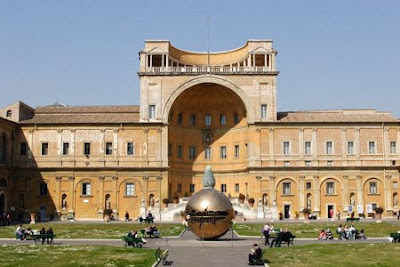 It would take a lifetime to explore all that the Vatican Museum has to offer. You could rest in one of its beautiful gardens in the process. My favorite museum is in my hometown and walking distance from where I live. 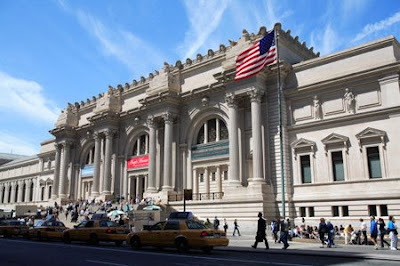 I could spend days at the Metropolitan Museum of Art traveling through the ages in one of its many wings. Belgian National War Museum (http://www.klm-mra.be/) and I suppose the car museum, next door. An absolutely brilliant museum inside, outside, a classical, colonnaded front, complete with a triumphal arch. All set in a very pleasant piece of park land. Mine has got to be the Orsay and Louvre (minus the crowds). I also enjoyed the Picasso Museum in Barcelona. The Met and MoMa are faves as well! The Cezanne museum in Aix-en-Provence made a good impression also! i love that santa fe one. Whats that really stunning museum in Rio...*thinkthinkthink* - can't remeber but it is a really lovely building. As for my favourite....hmm, I think the Tate Modern. I love taking a wlak along the south bank and popping in to see whats on...I never last for more than max one hour, though! The American Indian Museum in Washington DC has a wonderful design, although the exhibits aren't the best. I'm a museum nit. That Santa Fe museum is calling me and I love the Art Institute of Chicago and NY's Metropolitan Museum but my fave is London's huge museum with all the Eygyptian artifacts. beautiful collection of museums. i don't have a fave yet. Museum of Popular Art in Mexico City...a treasure trove of artesan folk art of the highest quality..
Jen, I love the Orsay and of course the Louvre. Kristine, I used to work across the river from the Tate Modern and always loved the large scale outdoor exhibitions--Koons comes to mind. Lakshmi, I try to as well. Anil, I'm heading to D.C. soon so will check it out. Fly Girl, I've always wanted to see the Art Institute. Photo Cache, Abida and Rajesh, thank you! personally i love the de young in SF. for france - the musee carnavelet (with sweet gardens in the center) and musee d'orsday (love converted buildings in general). I like the exterior of the Getty Museum in L.A. better than what is on the interior! I love the MET and also MoMa in Manhattan --The Brooklyn Museum has an outstanding collection of Egyptian and Pacific NW art also! Yes this is nice. Lots of museums arround the world. I like on Muzei Vapcarov Bansko in Bulgaria. It's really awesome one.